AGICO devotes itself in manufacturing Rail Joint and Rail Fasteners for more than 50 years and be appointed as CRCC manufacturer for railway parts. Owning About 70% Market Share in domestic. With ISO9001-2000 Certificate and approved license from China’s Railway Ministry. Standard or customized products are all available according to the requirements of the clients. 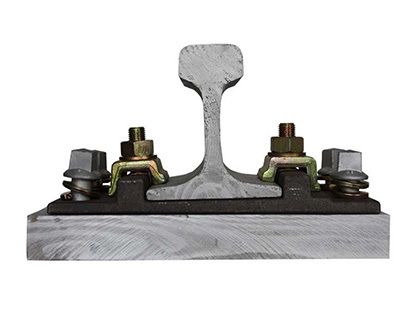 Our products all pass strict testing with a full set of inspection facilities and our daily production can reach 100 MTS of rail joints and 100,000 pieces of rail clips. We can offer superior quality and reliable rail fasteners for you! 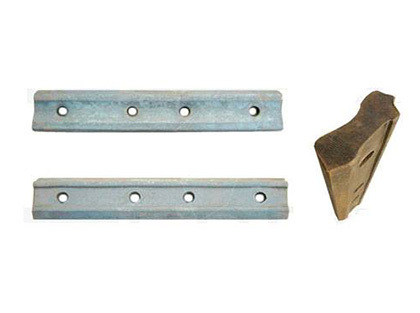 All types of rail joints are available such as GB, UIC, DIN, BS, South America and Africa standard, AGICO can also manufacture customized products according to your drawings or samples. 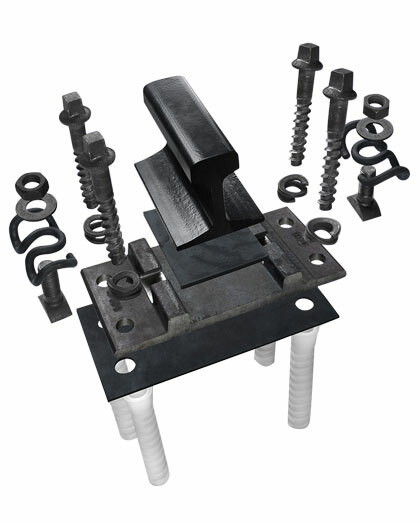 Different rail fastening system including SKL fastening system, high speed fastening system, E-clip fastening system, KPO fastening system and Nabla Clip fastening system are ready for you. 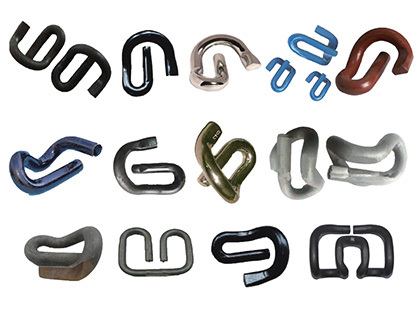 We can offer various types of rail clips, including E-type, SKL tension clip, PR series clip, Deenik clip, Vossloh clip, customized clips are also available according to your drawings or samples. 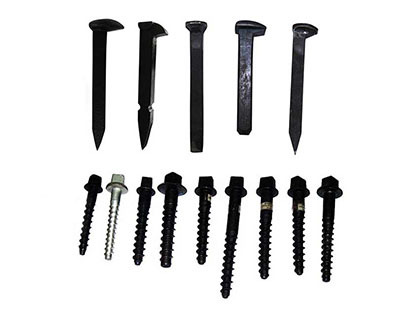 Provide different types of railroad spike, including dog spike, Ss series Sleeper Screw, Square head screw spike, Hexagon screw spike, Double-head screw spike, Tr thread screw spike, etc. AGICO engages in producing rail fasteners and rail joints since 1958, and we can produce various types and different standard of rail products. Our products have been exported to more than 30 countries and areas. Standards such as AREMA, BS, GB, UIC and DIN of rail joint are ready, other fasteners or customized product are also available upon on the needs of clients. We have our own quality inspection center and each product pass the quality testing. The products are all up to ISO9001-2000 standard. AGICO is made up of 92 high professional engineers and experts and 300 working staff, and we have our own R&D team, after-sales team and quality control team. We are devoted to provide superior products at reasonable price for global clients and we are sure you are satisfactory with our service.